A South Korean official has said that the government is likely to announce its official stance on cryptocurrency ICOs in November. This statement was made during a National Assembly audit on Wednesday. We have had several discussions (on ICOs). Once the survey results are in by end-October, we plan to finalize the government’s stance. In September the FSS commenced a study among some companies that are conducting or in the process of issuing an ICO in the country despite the ban. Various reports out of South Korea show a divide in government opinion in regards to Initial Coin Offerings. Also speaking at the National Assembly audit meeting, Choi Jong-Ku, chairman of the Financial Services Commission (FSC) reiterated the initial ban on ICOs. The chairman stressed the Commission’s stance to continue with the sweeping prohibition on cryptocurrency fundraising activities and exchanges. Although many people call for the government to allow initial coin offerings, there are still uncertainties related to such a move as well as the possibility of serious fallouts. Meanwhile, Min Seong-woo, a member of the National Assembly is asking for the legalization of ICOs. The lawmaker while clamoring for ICO legalization also called for robust regulations to prevent speculation, money laundering, and fraud. 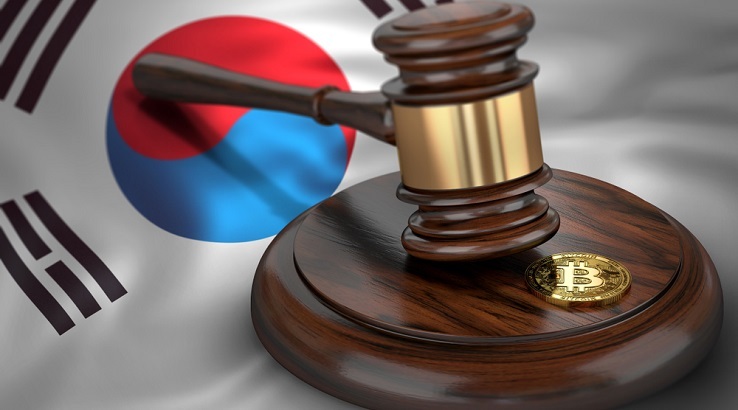 There is currently a ban on Initial Coin Offerings and anonymous crypto trading in South Korea. Despite the ban, the country is yet to release official regulations concerning cryptocurrency exchanges and trading. Throughout 2018, various reports have surfaced regarding drafted policies aimed at regulating the crypto space. Earlier in the year, EWN reported on plans by the country’s legislative arm to ease crypto trading. In July, local media said that the FSC and FSS were working to create a favorable regulatory framework for the crypto exchange operators. The Director of the KFIU (Korea Financial Intelligence Unit) has proposed stricter regulations for crypto exchanges, suggesting regulating exchanges similarly to commercial banks. In a country with zero tolerance for money laundering, legalizing ICOs which are currently viewed as a possible tool for money laundering and fraud, might take a while. Cover image courtesy of Finder.com.